This hillside neighbourhood is about an hour from Barcelona’s El Prat airport by public transport and is the place to stay if want the suburban comforts of home and the chance to enjoy your stay from morning to night. There is a lot of character in Horta-Guinardó, combined with the quiet residential feel you might crave for your vacation. This small bustling neighbourhood is the perfect mix of residential and urban. You’ll love staying in Horta-Guinardó for its proximity to downtown Barcelona. For example, you’re just 15 minutes from Sagrada Familia and only 25 minutes from Plaça Catalunya. Despite being very close to Barcelona proper, this neighbourhood has the perfect small town feel with a variety of dining options, shopping destinations and nightlife. Markets and parks round out the neighbourhood. 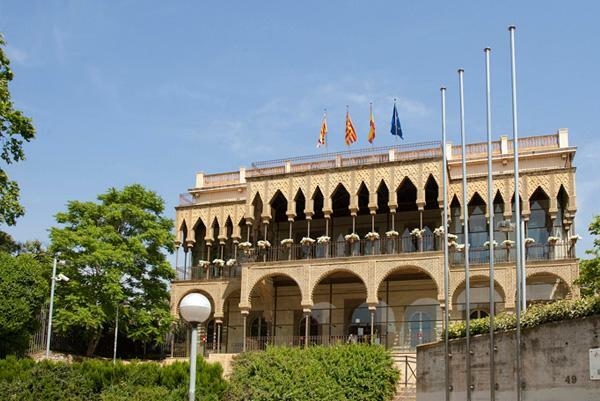 Attractions in Horta-Guinardó are varied and plentiful so you’ll never be at a loss for something to do. Steep streets offer you some of the best views of Barcelona you’ll find anywhere. Stop in at Churreria for an authentic churro with chocolate. You’ll also find Laberint d’Horta, the oldest historical garden in Barcelona. Take the time to stroll through Parc de Guinardo for rest and relaxation. Val d’Hebron is the large and busy hospital in Horta-Guinardó, which is actually stunning to look at. Walk through the Pavilion of the Republic to see "Poema Visual," a sculpture by Joan Brossa. For a bit of history, see Plaça d'Eivissa for the sinks that were once used for doing laundry when Horta-Guinardó was new and still small and rural.